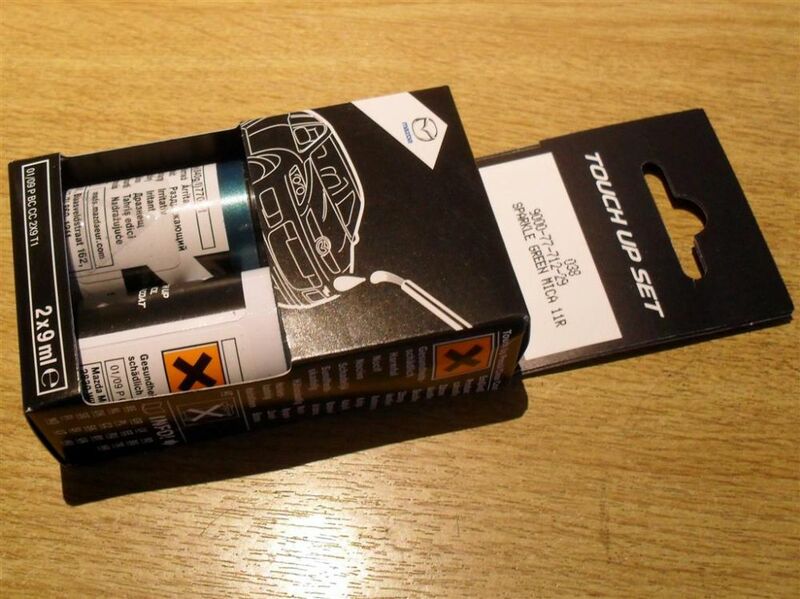 Genuine Mazda paint touch up set, Sparkle Green 11R (metallic colour). Includes clear coat. NM00286-11R. Genuine Mazda paint touch up set, Sparkle Green, 11R, metallic colour. Includes the clear coat as well as the base colour. This was the turquoise metallic green used on mk1 Eunos Roadster 1.8 SR-Limited and Mazda MX-5 Berkeley special editions, 1996-97.